E-commerce analytics software tracks the performance of online retailers. This type of software helps companies identify its most- and least-performant products, monitor buyer and consumer behavior, and determine which issues impact the business. E-commerce analytics tools are commonly used by e-commerce professionals to improve both sales and the customer experience, but can also be used by inventory managers for fulfillment and by accountants to track costs and profitability. While most e-commerce platforms provide reporting and analytics features, e-commerce analytics software is usually delivered as a standalone solution. Some analytics software providers include features for e-commerce in their offerings. Since generic analytics software isn't always a good alternative to e-commerce analytics, these types of products are not included in this category. E-commerce Analytics reviews by real, verified users. Find unbiased ratings on user satisfaction, features, and price based on the most reviews available anywhere. Woopra is a Customer Journey Analytics solution that is redefining how companies understand, analyze, engage and retain their customers. The platform is designed to fuel optimization and growth throughout the entire customer lifecycle. Leveraging individual-level data to aggregate analytics reports for full lifecycle insights that bridge departmental gaps. Woopra’s proprietary tracking technology tracks usage across your website, product and mobile applications. In addition, the platform offers 51+ one-click integrations with partners such as Salesforce, Marketo, Intercom and Segment to seamlessly unify disparate data points across tools and teams. As data flows into Woopra, People Profiles reveal a full behavioral history for each user, from their first touch to conversion and beyond. Making every engagement an opportunity to create more personalized experiences and support. Advanced analytics features include non-linear Customer Journeys, Trends and Retention reports powered by consolidated data. Translating numbers into people and opening entirely new views of the who, the what and the how in your data. Finally, Woopra's Triggers empower teams to take real-time action on their data. Automatically personalize page content, trigger a chat message, enrolls segments drip campaigns, update a lead status or customize a promotion with zero latency. Combined with powerful behavioral and demographic data, companies are able to deliver personalized experiences through the right channel, at the right time. With more than 200,000 users and 1,000 innovative customers across the world, Woopra provides the first unified analytics solution that is used by SaaS, eCommerce and On-Demand services for understanding, engaging and connecting with customers through data. Metrilo helps ecommerce brands grow by making marketing and customer data actionable, and focusing on retention and higher CLTV. The tools include real-time reporting, customer database, segmentation, email marketing and automation. Integration for major ecommerce platforms is seamless. Free 14-day trial available. 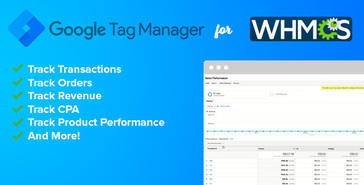 Google Analytics Enhanced Ecommerce for WHMCS implement Universal Analytics Enhanced Ecommerce features using Google Tag Manager on WHMCS. With this module you now can track all orders in Google Analytics and Goals Conversion. Optimize your Adwords Campaings with informations about sales orders, revenue and CPA. Powerful eCommerce Analytics for Growth MonkeyData is the best analytics solution for your online store. It gives you the perfect insights on how all areas of your business are performing - in one place. This must-have app will change your attitude towards data analytics forever. We’ve made this tool both sophisticated in terms of analysis and easy to use, just the way you need it! Gain Deeper Insights Go one deeper with MonkeyData and truly understand your business. Use all the information we give you to determine which campaigns are working. Watch metrics from Adwords, Amazon, eBay, Facebook and more in clear dashboards. Discover the power of your data thanks to our smart features. You Will Love: - The most important ecommerce metrics & KPIs. - Valuable insights thanks to our smart metrics (predictions, real-time analytics, time period comparison, etc.). - Automated reports that allow you to stay updated on your business. - Sharing for your colleagues. - The absolute security of your data. Clicksco analyzes data from a wide range of sources, on and offline, to precisely understand who these people are and what they’re interested in buying. Content Analytics is the only end-to-end eCommerce solution combining analytics, content management and reporting all in one platform. Datagram is an e-commerce analytics solution. Profitero's Digital Shelf 360 eCommerce analytics provide a unique, 360-degree view of your eCommerce performance, from sales & share measurement to product page content, pricing, search rankings, and reviews. Target the retailers and products that matter most, prioritize the actions with the highest ROI based on Profitero's causal analytics, and measure your improvements. Elevar surfaces insights across your marketing and analytics data instantly. Specialists in eCommerce and marketing analytics. 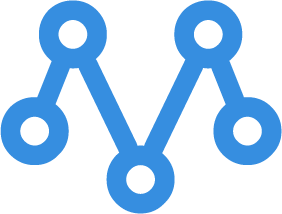 Import.io Insights: Analyze and Share Data. InsiteAnalytics for eCommerce combines analytics data for sales, customers, users, and sites, creating a dynamic perspective of how your online presence is performing alongside your traditional sales. Littledata provides a seamless connection between your website, marketing channels and Google Analytics. Integrate Google AdWords and Facebook Ads for even more marketing data. Metorik is an analytics solution for WooCommerce stores, unifying store's orders, customers, and products through reports. Miipharos is an in-store analytics and marketing platform. Mixpanel is helping the world learn from its data by translating user behavior into actionable knowledge. 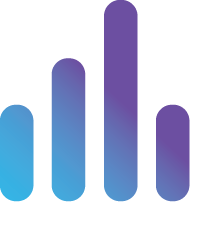 As the leading user analytics platform, Mixpanel tracks interactions to surface information that provides valuable insights which enable businesses to make smarter decisions, break down knowledge silos and drive data-informed innovation. Mixpanel is headquartered in San Francisco with offices in New York, Seattle, Salt Lake City, London, and Singapore. With over 26,000 customers worldwide and 30% of the Fortune 100, Mixpanel empowers data-driven professionals across product, marketing, analytics, UX, and engineering teams to make smarter decisions, faster. Customers include: DocuSign, OpenTable, BMW, Microsoft, Hinge, Clorox, STARZ. With MOVEX Analytics, provides a flexible tool that brings structure and meaningfulness to large data quantities behind the omnichannel processes. SavvyCube provides you with simple yet powerful insights into your past, present and future business performance based on data from Magento, PayPal and Google Analytics. SavvyCube is a division of Webtex Solutions, a Minneapolis-based software development company. Hi there! Can I help you find the best E-commerce Analytics solutions?